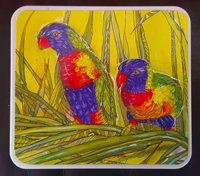 Durable, with a sturdy cork backing. 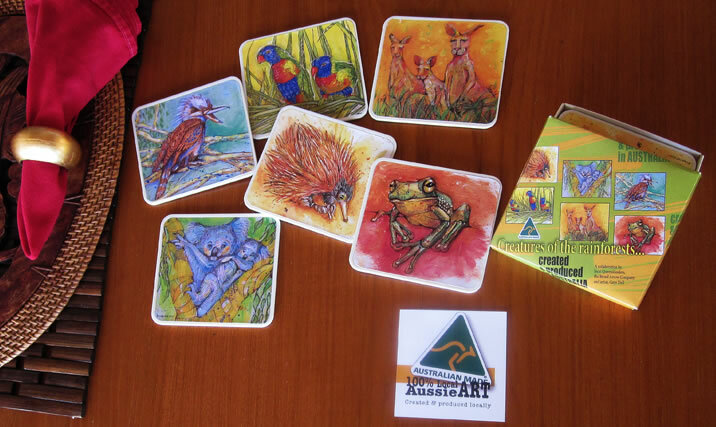 All Aussie-made! 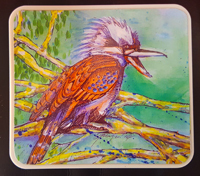 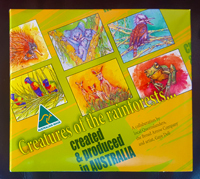 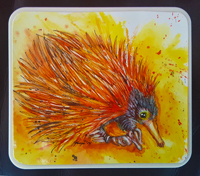 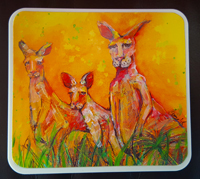 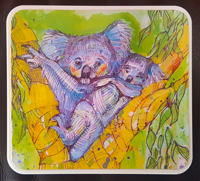 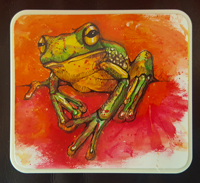 Inspired by her tropical neighbourhood on Tamborine Mountain in Queensland, Gaye created art for a line of coasters… enjoy the magic of the rainforest.